Since the release and the popularity of Beat Saber, we have seen a number of games trying to match that winning formula. 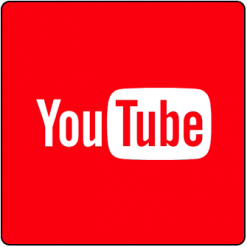 However, we have not seen many of these on the mobile VR platfroms. This is where Beatron 2000 comes in to the fold, but does it bring anything close and as addictive? When it comes to the gameplay it’s all about chopping blocks, smashing orbs and slicing rockets with a disk to the tune of the music. The blocks are going to come at you with different directions on them you need to slice them in and at different heights and combinations. The orbs you have to smash are to hit from the top down to smash them and the rockets are sliced by throwing your disk. The game brings with it ten songs that range in length and BPM, and all ten can be played in Easy, Normal, Hard and Expert. All of these songs are not fully licenced songs from popular artists, but this is not something I expected. I found that I jumped in on normal and it all seemed a little simple on that difficulty, but that could be down to the amount of time I have put into the aforementioned Beat Saber. The one slight issue I found with the gameplay is the size of the disc in your hand. With some of the combinations of the blocks and how closely they are mapped together, you might find you chop the one behind it in the wrong direction, simply by completing the movement from the block before it. For me it needs either a smaller disk or a bit more spacing when it comes to these parts in the songs. But, when you get your rhythm going and your getting a mix of chopping blocks, smashing orbs and slicing rockets there is some fun to be had with the game. 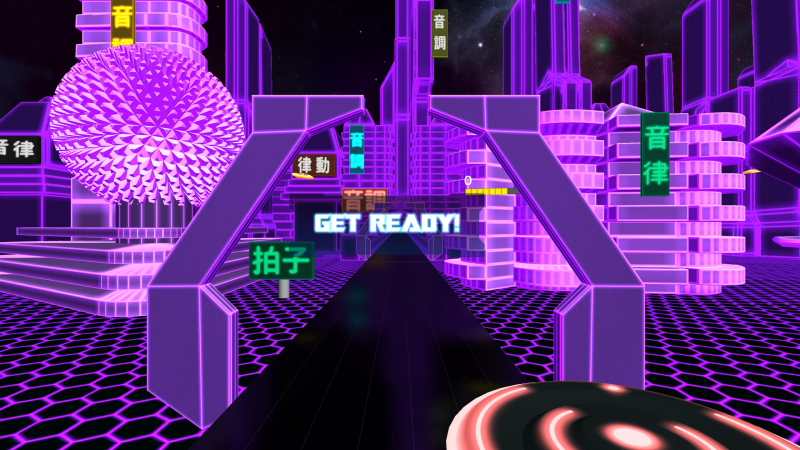 When it comes the visual side, with the disc and the art style it is heavily influenced by Tron – but you may have gotten that with the name. As you would expect with it being on the mobile VR HMD the visuals are not going to wow you, but they do the job for what the game is doing. It’s clear and makes it easy to spot the everything that is coming towards you and in what directions you need to chop the boxes. 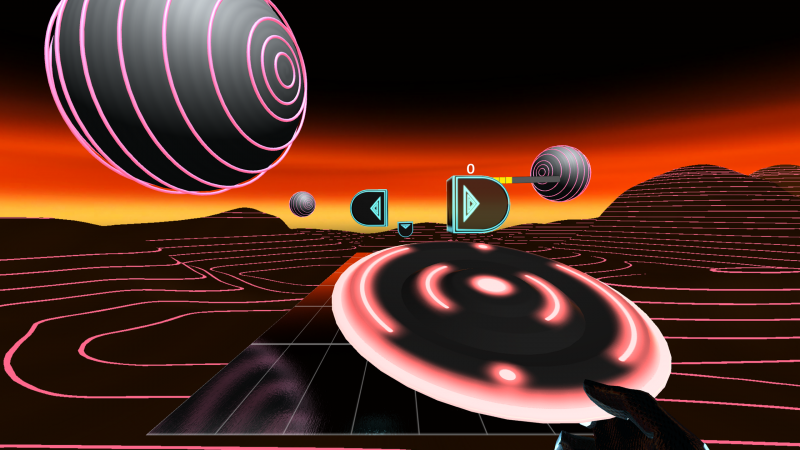 Apart from the boxes the levels are made of a visualisation effects in different environments and neon colours. The songs sound quality is great, and the mix of different styles and BPM in tracks makes sure each tracks mapping feels unique. Other than the songs, you are going get the sound effects from the chopping, smashing and slicing and these are all well synced, but at times seem a little high on the volume side. With the Oculus Go using the one controller, as you would expect you are only chopping blocks with the one disc. The chopping of the blocks and smashing the orbs are all done by the motion of the controller. When it comes to slicing the rockets you need press the trigger to release the disc and aim the pointer at the rockets. I found they worked great with the tracking, and makes it so the game can be played either seated on standing. The ten songs included will last you around thirty-minutes for the one playthrough, but of course the main aim of this game is to go back on increased difficulties and set new high scores. So, you will find a reason to return to the games and play them again. Also everyone knows that Beat Saber’s big pull is the custom tracks and that you can keep increasing the song library, well great news there is a song creator available on the Beatron 2000 website. This means depending on your skill on mapping them or others users making them, this could bring a lot of gameplay time to the title. 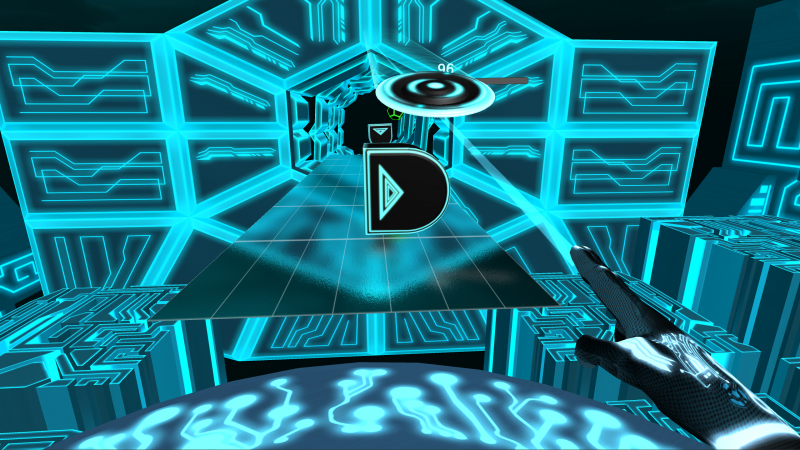 Beatron 2000 brings a rhythm game to the Oculus Go in the ilk of Beat Saber, something that is always good to have available for quick gaming session and on the move. The gameplay is addictive and is great for short sessions, but I am not sure you will be able to put in marathon sessions. 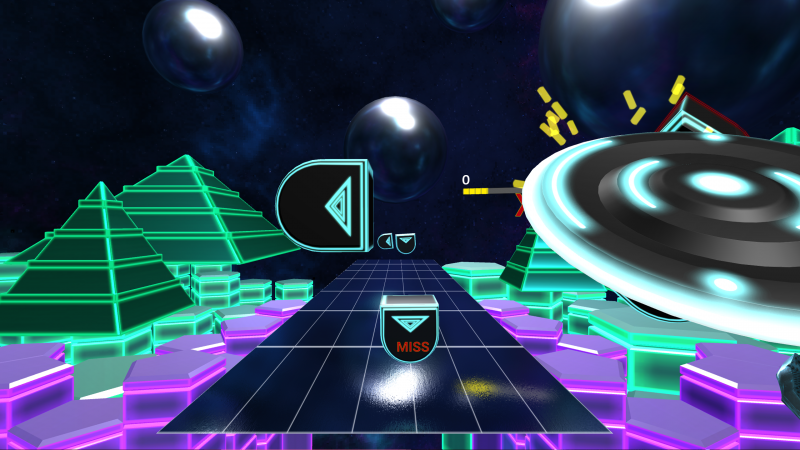 Where the tracking works great in the game, some issues with a short slow down and the small spacing in the song mapping makes it easy to miss objects. 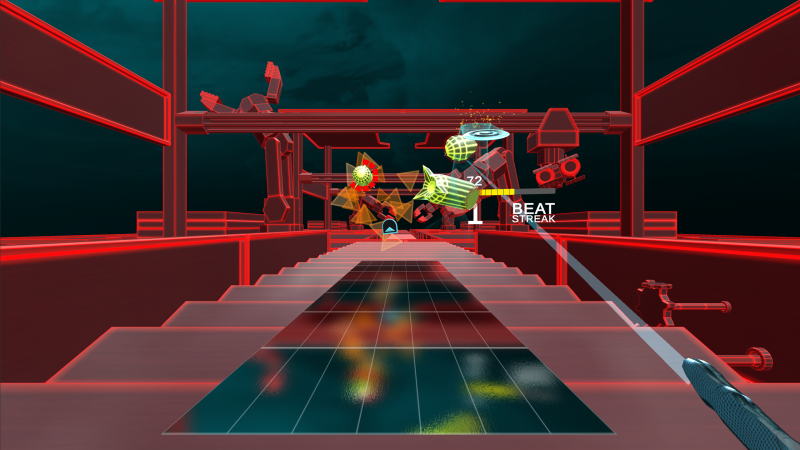 But if you looking for an experience like Beat Saber on the move, certainly take a look at Beatron 2000, when it is released.